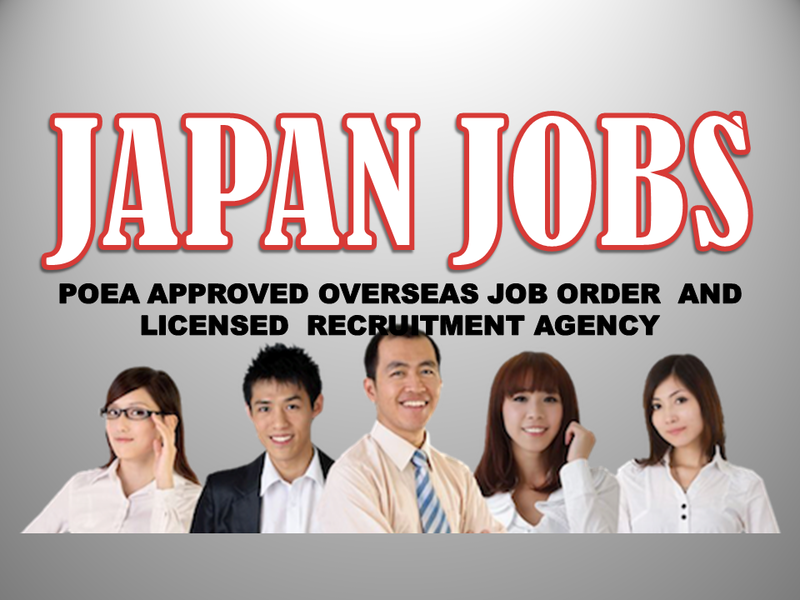 The following job orders have been approved by POEA for recruitment to Japan. We are not affiliated to any of these recruitment agencies. Interested job applicants may contact the recruitment agency through their contact information provided through the link for further information or to apply for the job. 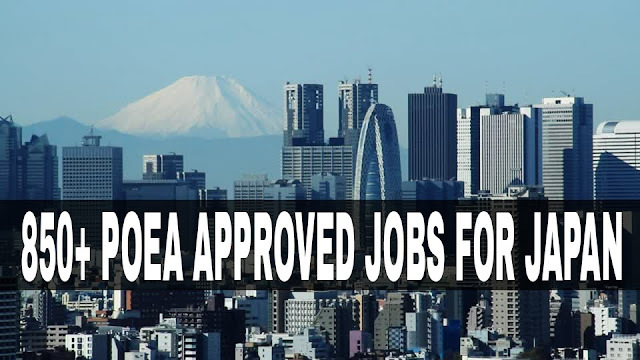 Each jobs are linked to their respected agencies who will process visa and work permit. 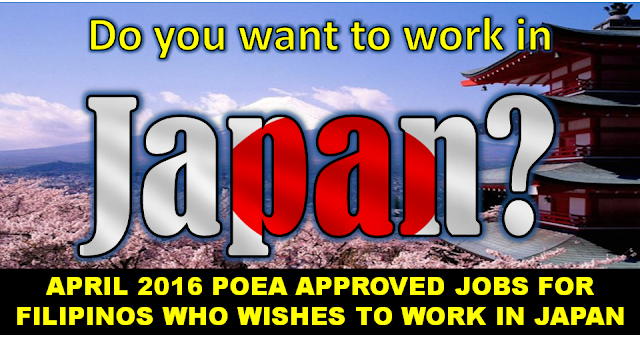 As per POEA rule, Japan is among the countries exempted from collecting placement fee. 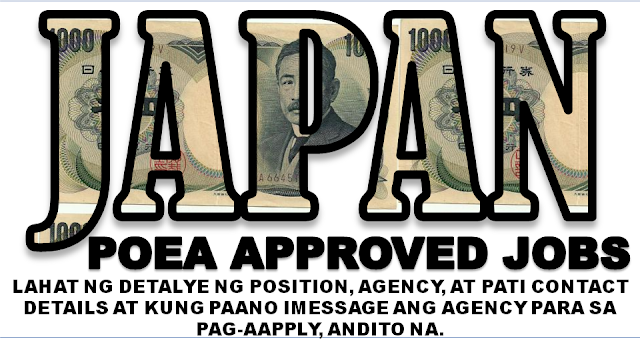 Please contact POEA for any violation on recruitment. Interested job applicants may contact the recruitment agency for further information regarding the job and in order to submit their application.